home / Tagged "Dubai Restaurants"
Best Vegetarian and Vegan Restaurants in Dubai Dubai has no shortage of places to eat in all of the usual price brackets that advertise themselves as vegetarian, but as we shall see, a little caution is needed. Vegetarian means different things to different folks. For some, it means that they don’t eat meat, but fish is OK; for others, it means no meat and no fish, but pretty much everything else is up for tasting. Finally there is the sub-group of very strict vegetarians known as vegans who avoid eating any kind of animal products; in other words, no eggs, butter or cheese or anything prepared with any of these and other animal products. So, for the vegans, the choice is easy: nothing but a bonafide vegan restaurant will do. But for diners who class themselves as vegetarians, (with all the shades of vegetarianism noted above), some will feel comfortable selecting vegetarian options from a menu that includes meat and seafood choices, while others will feel that they don’t want to eat vegetarian dishes that may have been cooked in utensils that are also used for the preparation of meat dishes. I’ll try and reconcile all these parameters, while offering choices in three broad price brackets. All well-regarded, but you won’t need a bank loan to eat there Sukh Sagar, on Shaikh Khalifa bin Zayed Road, just on the edge of the busy and colourful Karama area, is a bit of a Dubai institution. There are other branches in other parts of Dubai, but this is the original! The website link includes the 7 page menu. It’s cheap, it’s cheerful and it’s South Indian vegetarian fare. Also in the Karama district is Manvaar. The decor and general tone of the place is a step up from the previous establishment, so expect to pay a little more, for broadly similar South Indian vegetarian food. Be aware also that Manvaar also serves North Indian tandoor-cooked meat dishes. Fortunately, the menu, both online via the link provided and in the restaurant itself, makes it very clear which dishes are vegetarian and which are not. If you fancy trying an Arabic take on the vegetarian theme in this general price range, L’Auberge in Deira City Centre offers very reasonably priced lunches. As with Manvaar, it isn’t exclusively vegetarian, but the clear, English menu (on the website link) should help avoid any unfortunate choices. And if you’re not sure, the staff speak very good English and will be happy to explain what the dish is made from. The Park Hyatt’s Traiteur restaurant is elegant and excellent in its decor and cuisine. 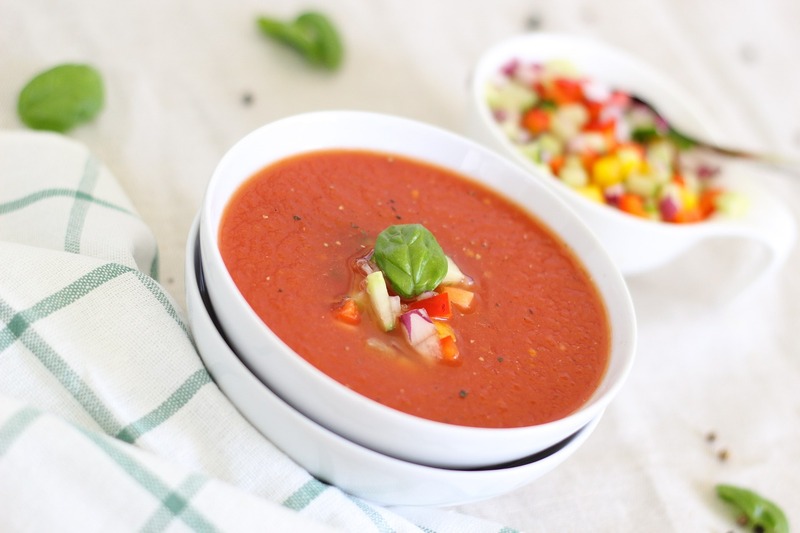 While not a strict vegetarian restaurant, provided you have no objection to eating in premises where meat dishes are also prepared and served, you will be very happy with the quality of the vegetarian option on the menu and the standard of the service. I’d particularly recommend the Friday Brunch. Yes, it’s expensive, but in recent months, the focus has shifted to top quality seafood, so if you are a “no meat, but fish OK” vegetarian, the endless lobster, oysters and fish dishes cooked to order will not fail to please. The Mango Tree, in Dubai Mall’s Souk Al Bahar is a great place to relax, eat and enjoy the hourly, wonderfully choreographed displays from the Dubai Mall Fountain. The food is Thai, so again, not a strictly vegetarian-fare-only establishment, but plenty of vegetarian options on the menu. Also on the Souk Al Bahar side of the Dubai Fountain is the Karma Kafe. Lots of seafood and vegetarian options, but purely vegan dishes are also clearly labelled on the menu, which you can download from the website. And then there is a personal favourite, Katsuya, in Dubai Mall. When the weather permits, you can sit outside on the 2nd floor terrace, for another view of Dubai Mall Fountain. In fact, Katsuya is just across the artificial lake from Mango Tree, but the view of the fountain is at a 90° angle from Mango Tree’s. Cuisine is fusion Japanese, so a majority of the dishes are vegetarian/seafood. Try the corn tempura fritters or, rather surprisingly, the crispy Brussel sprouts…) But, what about purely Vegan options? Ten years ago, you’d have struggled to find a real vegan option in Dubai, but there are quite a few now. In fact, the Dubai Vegan Guide has a special section dedicated to the restaurants that are certified as trustworthy amongst vegans. (Many vegans have opted for this dietary choice because of food-related health issues, so they need to know which places they can really trust.) BeStro (in Dubai Mall) specializes in raw food and lots of juices made without sugar. The last page of the menu (included in the link) features the brunch menu, with organic pizza breads, zucchini pasta, vegetable curry and one or two other options. They also do kale salad and an excellent pie crust made with cashew nuts – take care those allergic to nuts. Finally getting away from Dubai Mall, out in the Jumeirah Beach Residence complex is the newly opened Tidjoori restaurant. It’s not strictly vegan, or even 100% vegetarian, but the emphasis is on European, healthy food, which means organically sourced ingredients. The clarity of ingredient listing on the menu is such that vegans will find plenty to choose from and not go home hungry. The quantity and quality of restaurants in Dubai, since the beginning of the big expansion over ten years ago is truly amazing. Vegetarian – fish and non-fish; purely vegan – it’s all there. Enjoy! Best Chinese restaurants in Dubai: The unique flavors and aromas of Asian cuisine make it very popular with many expats – and this is definitely true of Chinese cuisine, which enjoys immense popularity in Dubai. If you’re in the mood for some delicious Chinese food, prepared in the authentic way with taste-tingling sauces, there are many places on offer in the Emirate of Dubai. The restaurants chosen below vary in price, and have been selected for a combination of the delectable food served up, great service, or fantastic décor. There is something here to suit every budget ,so pick up those chopsticks and dig in! Zheng He’s Mina A’ Salam, Madinat Jumeirah: For an overall classy dining experience, Zheng-He’s is the place to go to. With culinary prowess to match its divine interiors, this high-quality Chinese restaurant serves some excellent dishes prepared in authentic Chinese sauces. The service is excellent and the restaurant is situated waterside at the Mina A’ Salam. Well known for its succulent duck and melt-in-your-mouth beef tenderloin, the setting, service, and above all, the food will not disappoint. Although not cheap, this popular restaurant is usually bustling with diners waiting to sample the delectable cuisine. Dynasty Ramada Dubai, Bur Dubai: Although the name echoes the 80s soap opera, Dynasty avoids any comical theme to that effect, and is a purely Chinese affair. Although this restaurant does not share the pomp of Zheng He’s, the food is superb and the restaurant tastefully decorated. Specializing in Szechuan and Cantonese food, the restaurant is popular for its delectable main menu items such as chicken Manchurian and Szechuan beef, although the starters and desserts are just as good. 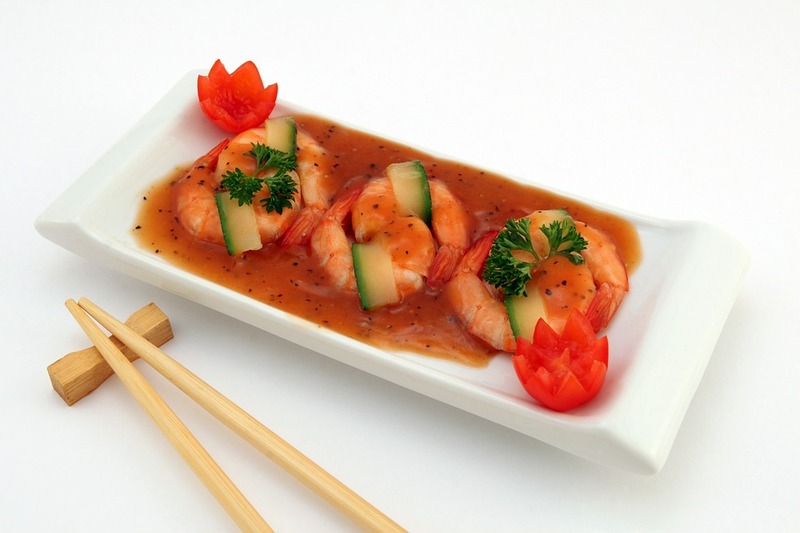 China Sea Deira Dubai: Located in Deira, China Sea offers fresh, delicious Chinese cuisine in a relaxing atmosphere. The food is unique and served up by courteous, attentive, and professional staff who know their dishes. Handcrafted noodles are prepared on order and served with wonderfully tasteful sauces as accompaniments to entrees and sides. For a no-frills dining experience with wonderful food and great staff, Chine Sea is the place to be. Shang Palace Shangri-La Hotel, Sheikh Zayed Road: Echoing the mystical ambience of the Far East, Shang Palace is a stylish, upscale Chinese restaurant that offers a large selection of delectable Cantonese cuisine. Well known for its tender and perfectly seasoned Beijing duck and a long list of delicately flavored teas, Shang Palace offers its guests a classy dining venue complimented by authentic Chinese hospitality. The China Club Radisson Blu Hotel, Deira: Traditional tapestries and intricate silks adorn the walls of this welcoming restaurant in which traditional Chinese décor meets contemporary informality. Staff is welcoming and friendly and the meals are wholesome and delicious. 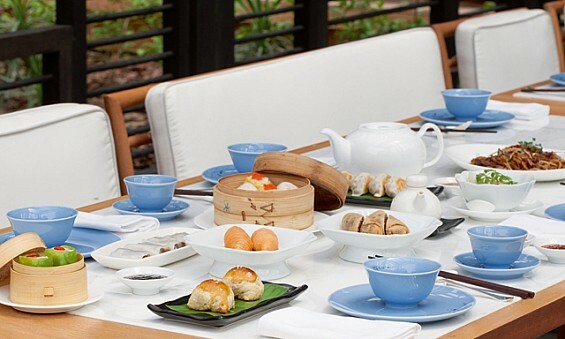 The China Club is especially popular for its Yum-cha (afternoon tea) feast of dim sum, noodles, and rice dishes. Save some room for desserts though, as these are equally delightful. Ba Fairmont, The Palm, Palm Jumeirah: Ba, which means “8” in Chinese, symbolizes good fortune, wealth, and prosperity. This romantic restaurant offers great views of the city from its tranquil terrace area. Boasting some delicious dishes on the menu, including scallop dim sum, prawn wanton soup, and lobster, Ba serves up delicious dishes complimented by a great bar area and music from a resident DJ. Lan Kwai-Fong Oud Mehta: If you’re not too fussy about grand interiors, but are looking for authentic Chinese cuisine, head for Lan Kwai-Fong, which is very popular with the expat Chinese community. Although not expensively done, the décor embodies Chinese culture with its tasteful and authentic interiors. Guests are immediately transported to another time. The food, however, is something to fuss about, with mouth-watering dishes such as the duck in plum sauce and rice, both cooked to perfection. This article was originally published by Living In Dubai on 27 JAN 2016. Five Brunches in Dubai Where You Must Go! Copyright © 2017 Dubai Event Management. Web design and digital marketing by digital marketing agency Liverpool, DoLocal Limited, SEO Liverpool. NOTE: The content on this website contains affiliate links. 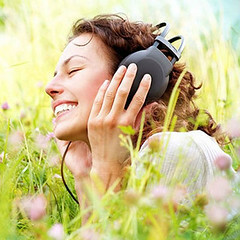 Click here to find out more about 'Paid For Advertising'.